Problem is, the text that pops up when you hover over the vote arrows is incorrect for meta. Both up and down arrows display the wrong message. That example question above shows research effort, is clear, and is useful. I just disagree with the point so want to downvote it. This is best explained in the 'What does voting mean here' part of the meta FAQs, but contradicted by the overlay text. Can it be changed, and if yes should it be? And speaking of research effort, I tried searching for a dupe of this here and was surprised to not find any (except on Meta SO). Either my search-fu is weakening or nobody has complained about this yet. Browse other questions tagged feature-request voting user-interface meta . Disable voting for closed questions. 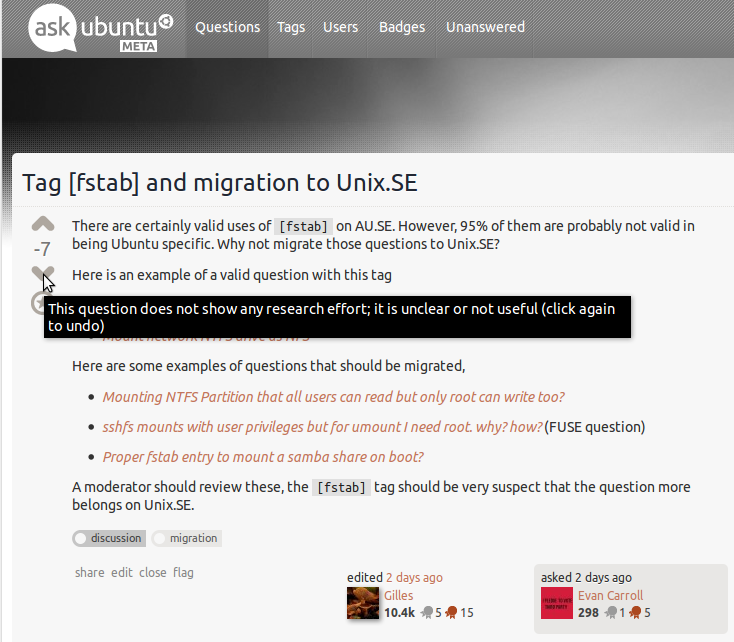 Should the tooltip that appears when voting up a question be modified?